Any day you find a fine, interesting hometown restaurant is a good day for a foodie. Downtown Wilmington, in particular Market Street has such a place in Pinpoint Restaurant. One year new on the night of our visit last Friday, the staff had reason to celebrate, and so they did. Drink specials and one year old coozies were distributed with abandon, but it’s the food that carries this place. We decided to graze our way through the menu that night, so I can’t speak to the main courses but if the plates to share are any indication of the chef’s prowess (and they usually are), we are all in for a treat! 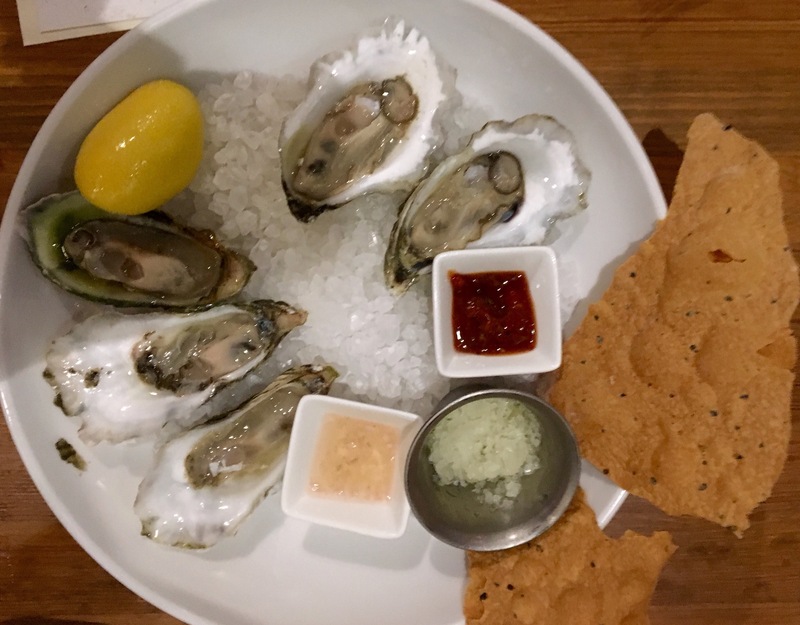 The menu highlights locally sourced ingredients like oysters, crab and shrimp with some creative license. An apprenticeship under Top Chef contestant Hugh Acheson prepared Chef Neff for a place just like this. 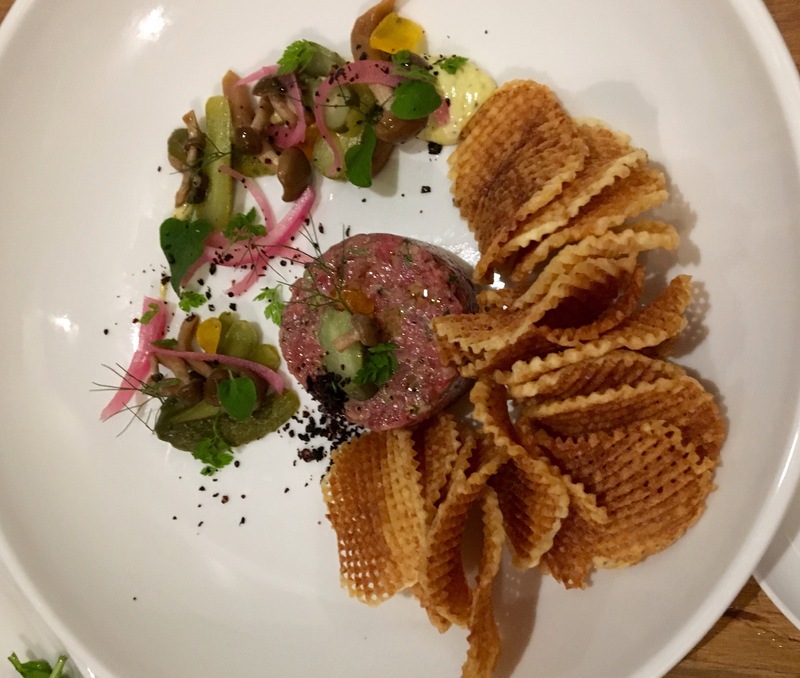 Many of the foodie favorites are available, like Steak Tartare, expertly hand cut and wonderfully seasoned and paired with hand cut potato chips, a black garlic aioli and some dainty pickled veg. The house made charcuterie plate is nothing short of a revelation. 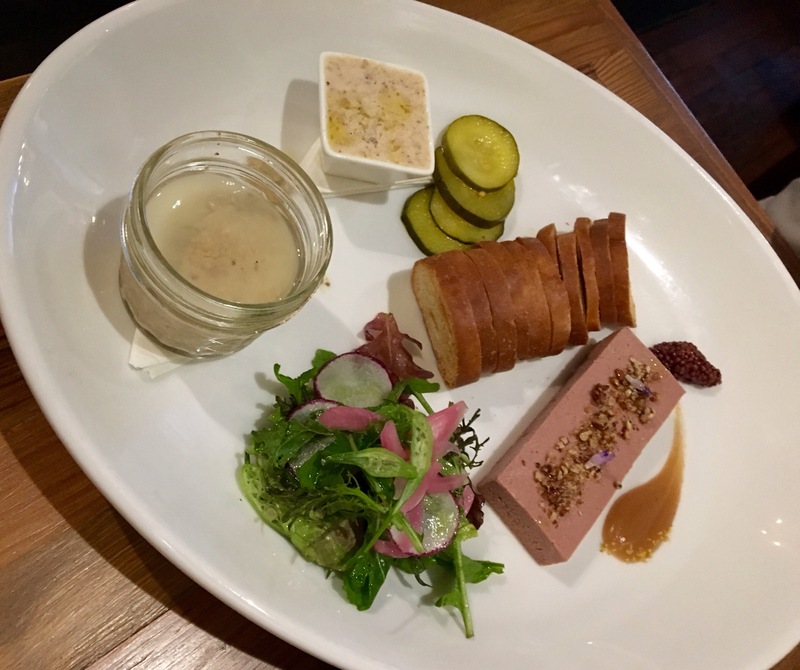 The chicken liver mousse is so light and smooth that I felt like I had died and gone to heaven.Be sure to taste the mustard seed/strawberry accompaniment.The deviled duck and smoked trout rilllete equally surprised our party. 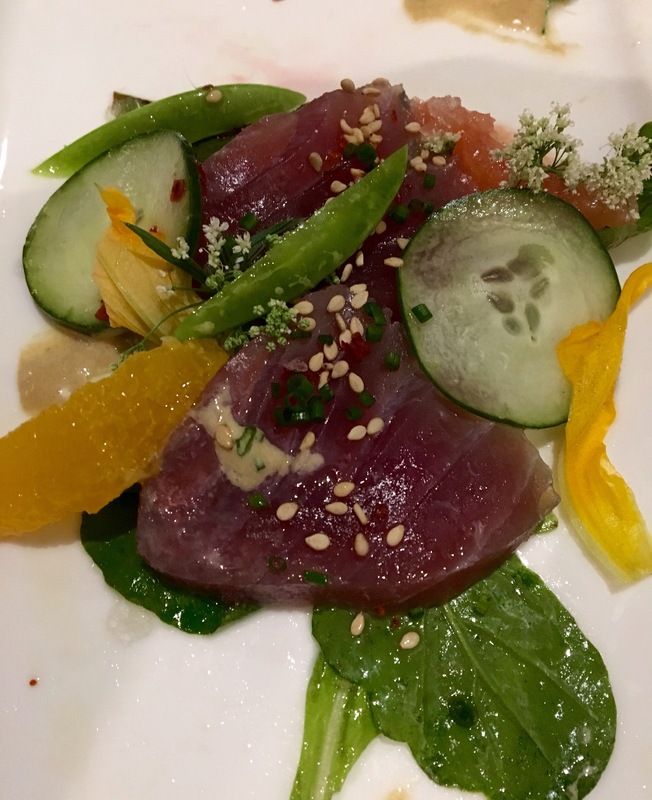 The cured yellowfin tuna was fresh and succulent accompanied by a salad of grapefruit, zucchini blossoms and other little goodies. The house mixologist has some beauties up his sleeve, too. Don’t hesitate to try an interesting drink with this great food.